This revolutionary sunk line solution knocks the spots of all other sunk line Speylines and all shooting head systems on price and fishing & casting performance. 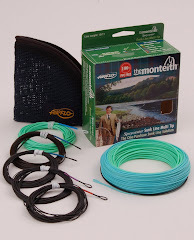 With the back end fast approaching this product is a must for the sunk line salmon fisher. For more information or to order this unique product Click here.